Sometimes you may want to convert DVD to 3GP so that you can play the DVD movies on mobile devices like HTC, Samsung, Sony, Motorola, BlackBerry, etc. Actually, it’s quite easy to achieve your goal with a right program. This article here will teach you how to rip DVD to 3GP/3GPP with fast speed and high quality. 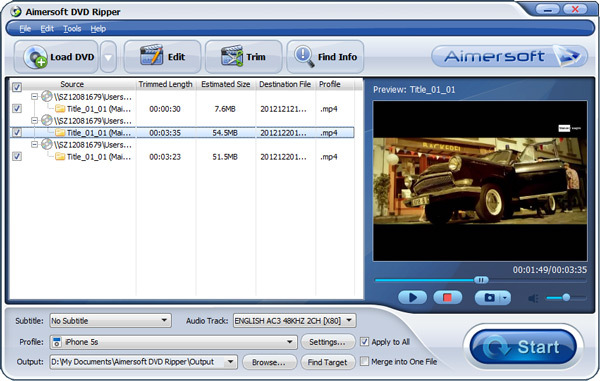 The recommended tool is Aimersoft DVD Ripper, an ideal DVD to 3GP ripper that allows you to convert DVD movies to 3GP with ease. Moreover, it can rip audio files from DVD and save them as MP3 for any MP3 players. If you’re using a Mac, just get the equivalent Mac version. Now download the program and follow the guide below. Just take a look at this guide, you are now able to rip DVD to 3GP for playback on your cell phones. Crop - You can crop the video frame size as 16:9/4:3 and wipe out the parts that you don't need. 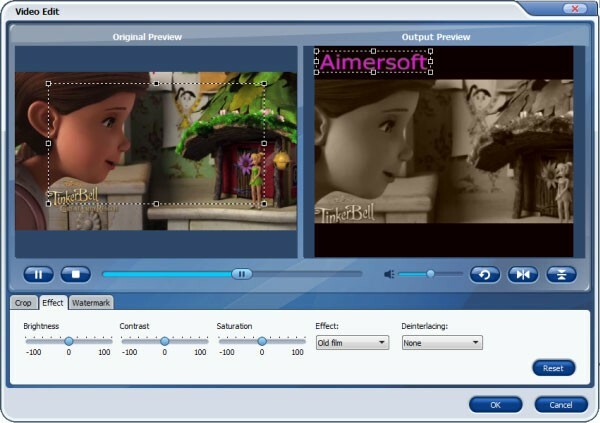 Trim - You are able to keep only the part of the movie you like and cut off other parts. Effects - You can apply many diffident effects to your video for a better visual effect. If you only want the original content, just skip it and jump to next step. 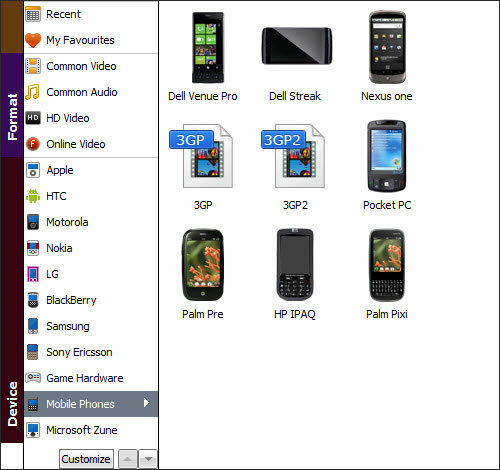 Click Profile and choose 3GP from Common Video as the export format. And you are also allowed to choose other formats if you have a need, such as iPhone, iPad, iPod, Blackberry, etc. At last, click the big Start button to start converting the added DVD videos to 3GP. After the conversion process, click Find Target to get your 3GP videos and enjoy them on your mobile phones as you like.